Completed in 1999, this exclusive 24-homesite gated community recorded the then highest-priced individual residential lot sales in the Denver metro area. 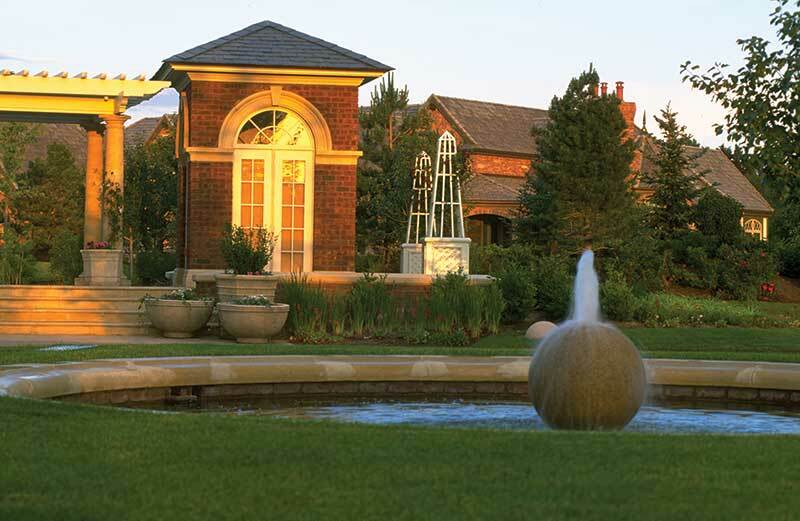 Hidden from site and across the street from Cherry Hills Country Club, Cherry Hills Park is one of Denver’s most prestigious addresses. Koelbel designed, entitled and managed the community development from conception to completion. 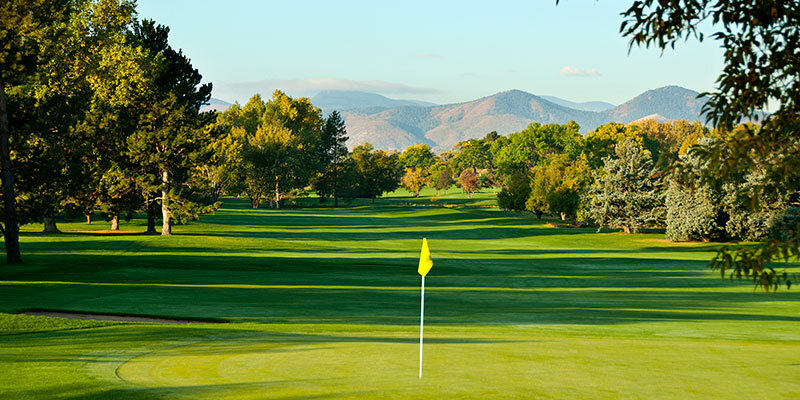 Launched by Koelbel in the 1950s, Pinehurst was Colorado’s first master-planned golf-course development and remains one of Denver’s premier golf-oriented communities. In fact, the final phase of this legendary neighborhood was finally concluded in early 2016. Pinehurst spans 600 acres with 800 homes, ranging from Pinehurst Estates and golf-course custom homes to The Fairways golf villas and low-maintenance townhomes in The Bluffs, Quincy Place and The Pines apartment homes. The Breakers (now known as Tava Waters) is a unique master-planned community that includes a resort-apartment rental complex, plus two homeowner communities: 1) The Lighthouse, a patio home enclave of 141 homes awarded “Best in American Living" by the National Association of Homes Builders; and 2) Pelican Pointe, a community of 190 low-maintenance townhomes that introduced courtyard living plus hobby rooms to the Denver housing market. Both communities enjoy access to the exceptional amenities of The Breakers. 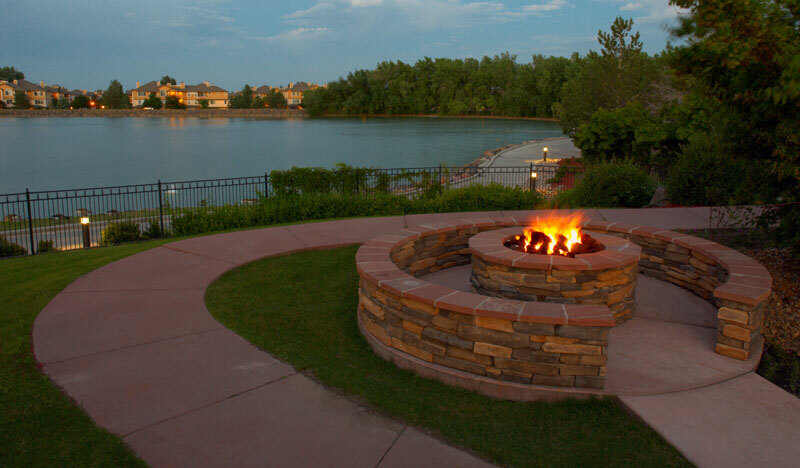 With 1,523 apartment residences, The Breakers is the largest apartment complex in the Rocky Mountain West. A 10-minute drive to Cherry Creek Shopping District, The Breakers is comprised of six extraordinary villages. This stunning gated community features a 60-acre lake, a state-of-the-art athletic club, a movie theater, restaurant/café, tennis and volleyball courts and seven resort pools and spas. Decades before Coloradans began rediscovering the allure of Denver’s center-city neighborhoods, Walt Koelbel was already creating a new kind of homebuilding and development company that blended residential development and environmentally friendly concepts. When the new millennium arrived and Coloradans began turning back toward downtown Denver and its incomparable entertainment, sports and cultural attractions, Koelbel and Company was waiting with a new homebuilding concept designed specifically for revitalized urban neighborhoods: Koelbel Urban Homes (KUH). 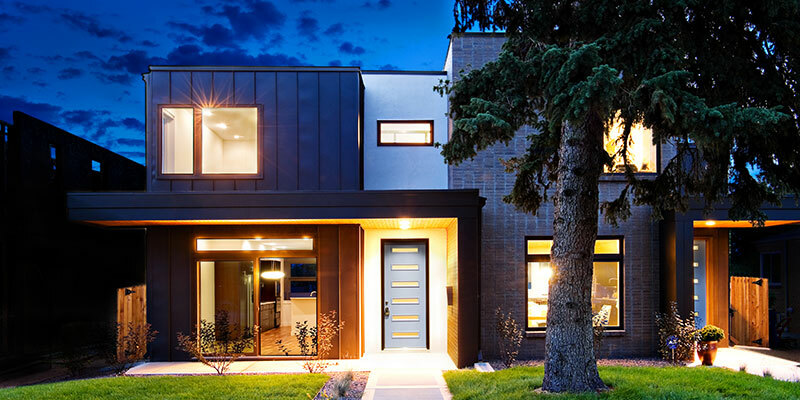 KUH, Koelbel’s newest division, is focused exclusively on designing and building urban homes in the greater Denver area. 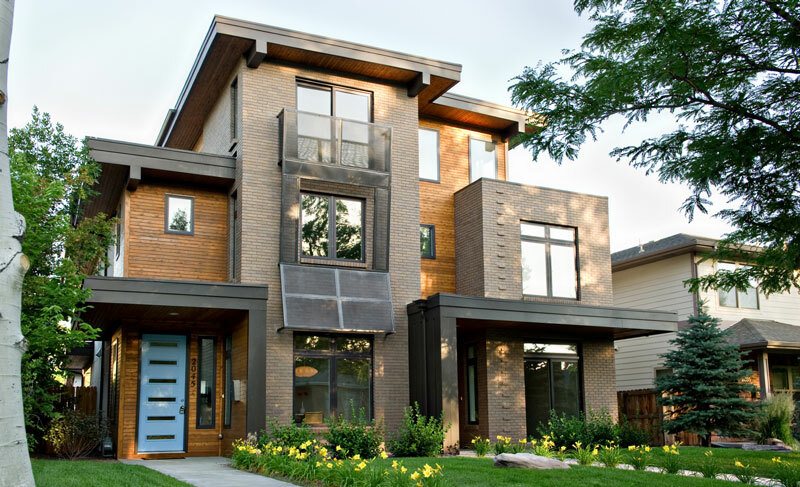 Koelbel Urban Homes entered the urban in-fill scene with a series of single-family duplex products, built in two select, sought-after neighborhoods: Harvard Gulch and Platte Park. The homes were designed by Bernie Costello of BcDc Architect, a passionate advocate for urban infill and sustainable building practices. Walkable to Old South Pearl Street shops, restaurants and the ever-popular Washington Park, KUH created two distinctive, handsomely designed homes that beautifully integrated into this historic neighborhood. Each home "lives well" with open floorplans, private outdoor courtyards, 4 bedrooms, 4 - 5 baths, a two- car garage and a rooftop deck. Square footage: 3,186 and 3,096. Next, KUH employed its skills to create another urban home with a sense of space and style in the South Denver Harvard Gulch community. This South Denver neighborhood embodies the best in urban living, including parks, shops, and restaurants, plus a sporty nine-hole, par-three golf course. Close to the University of Denver, Porter Hospital and Swedish Hospital, it's also commuter friendly with easy access to bus lines, light rail and freeway access. 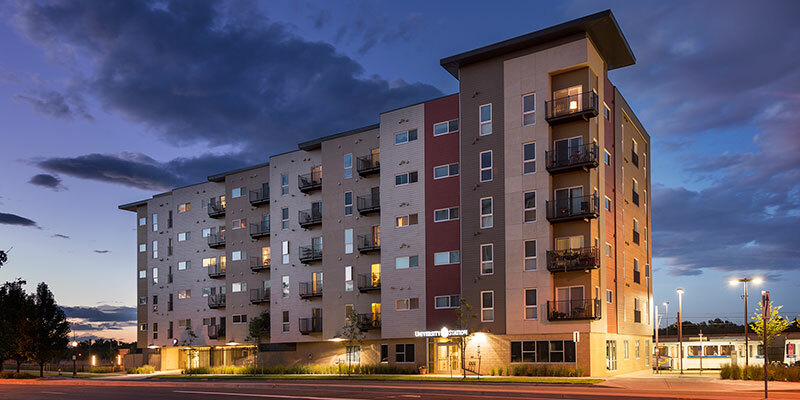 Cementing its position as an integral part of the urban renaissance around Denver and its role in nurturing residential opportunities that allow homeowners to walk and bike to dining, parks and entertainment, Koelbel Urban Homes launched Lo-Hi Court in 2012. Extremely well located at 32nd and Vallejo, LoHi Court centers around restaurants and taverns, neighborhood parks, and is walkable and "bikeable" into LoDo (lower downtown Denver) with its cultural/social allures and employment opportunities. The eclectic mix of historic traditions and styles found in this urban neighborhood allowed KUH's contemporary architectural approach to create a very appealing match. KUH created richly contemporary elevations rendered by Bernie Costello of BcDc Designs and Kephart Architects. Employing generous expanses of brick, metal and stucco trimmed in contemporary detailing to add distinction, the contemporary-styled homes range 1,503 to 1,634 square feet, with full-sized two-car garages, plus rooftop decks looking out from one of LoHi’s highest points. The community sold out in just a few short months. Set in a prime location to take full advantage of the Boulder lifestyle, TrailCrossing is within walking distance of NoBo shops and restaurants, along with out-the-door access to a major trailhead venue, plus other outdoor activities. 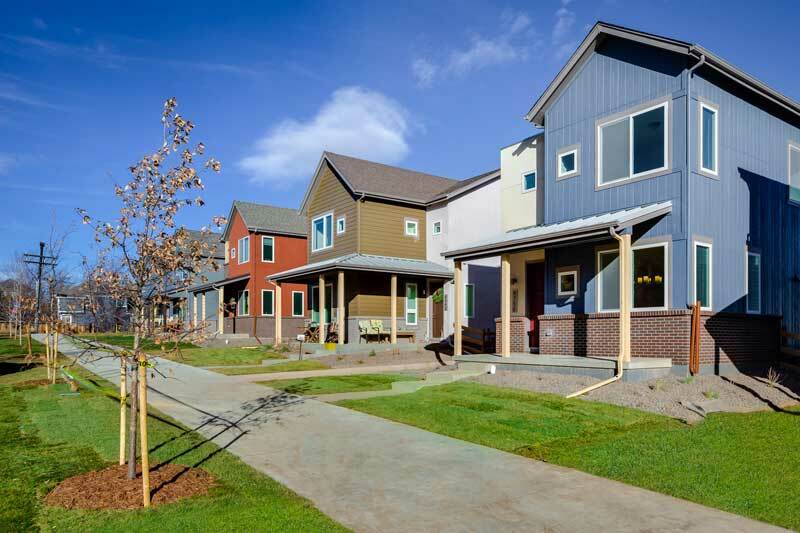 Completed in 2017, TrailCrossing is a unique collection of 31 state-of-the-art single-family urban homes, including three "permanently affordable" dwellings. Developed in a series of partnership with local Vail developers, this 18-acre upscale mixed-use project is the centerpiece in a 105-acre complex. 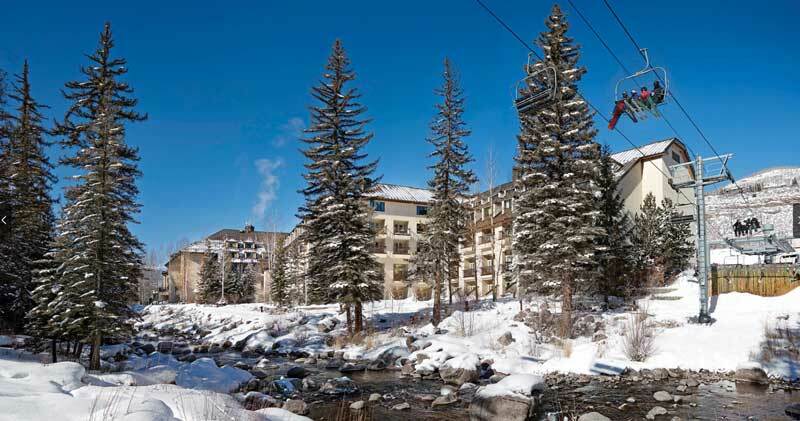 Created in the 1980s, the village is anchored by the 320-room Vail Cascade Club and Hotel, with direct mountain access via a dedicated chair lift. 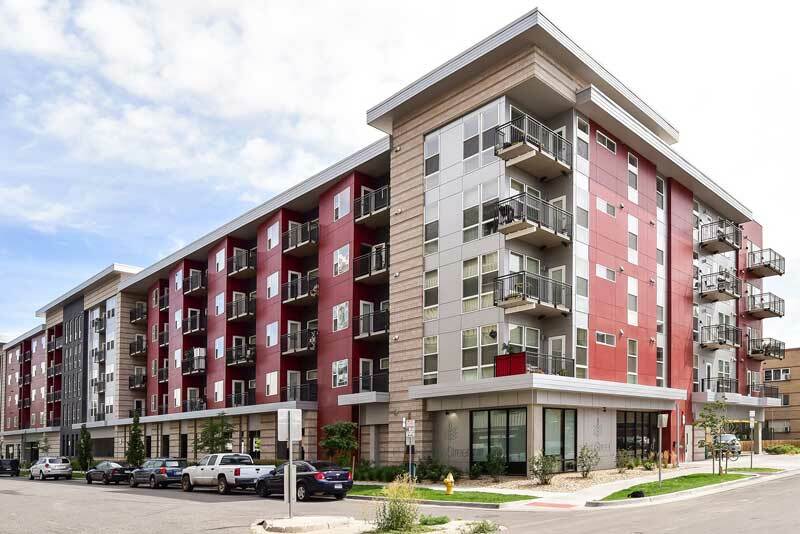 Providing affordable living for 55-and-over residents, this six-story, 76,452 -square-foot apartment complex is adjacent to the Yale Light Rail Station. It includes interior parking, plus 3,000 square feet of street-level retail/commercial space. 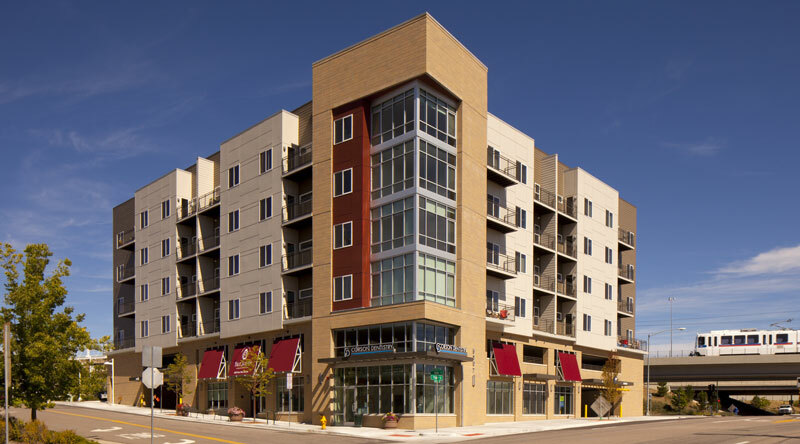 Located near the University Light Rail Station at I-25 and University Blvd., University Station is a 60-unit apartment/retail complex, one of several low-income housing projects by Koelbel. It serves seniors with incomes at 30 to 60 percent of the area median income. Lumine and Ledges, created by KUH, are separate affordable-housing complexes in the heart of Boulder. Featuring 69 and 61 apartments respectively, each community consists of spacious, modern apartments available only to individuals who meet explicit affordable-housing criteria. Ranging from studio apartments to one-, two- and three-bedroom units, monthly rents at both Lumine and Ledges include Ecopasses for residents to utilize nearby public transportation. 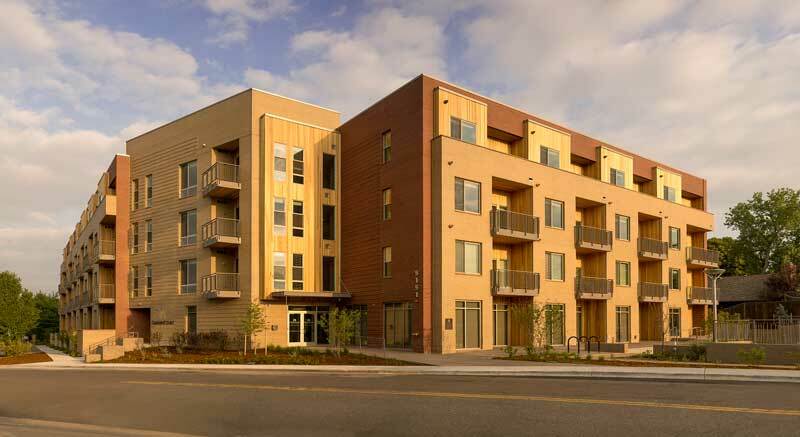 Koelbel partnered with Mile High Development to construct Garden Court Yale Station, a four-story, 66-unit apartment complex designed as affordable workforce housing for working adults in households earning up to 60 percent of the area median income. This is the partnership's third collaboration in the TOD/affordable-housing arena since 2010, which included Colorado's first such development. For more information, visit gardencourtapartmentsdenver.com. This project within the old University of Colorado Health Science Center redevelopment is home to 112 income-restricted apartments. The five-story building has one-, two- and three-bedroom units for households earning up to 60 percent of the area median income. Community amenities include a fitness room, indoor bike storage, roof-top deck with BBQ and seating area, and a community room with entertainment center. Forty-nine affordable-housing apartments are slated for development in the 1942 vintage Kuhlman Building, a former nurses’ dormitory. Part of the St. Anthony’s Hospital redevelopment called Sloans, the project is a partnership with Trailbreak Partners. In addition, a 5,000 square-foot auditorium on the back of the building will be converted into retail space. Bounded by Quitman Street and Perry Street between 16th and 17th avenues, the Kuhlman conversion is supported by the Denver Urban Renewal Authority and the Denver Office of Economic Development. 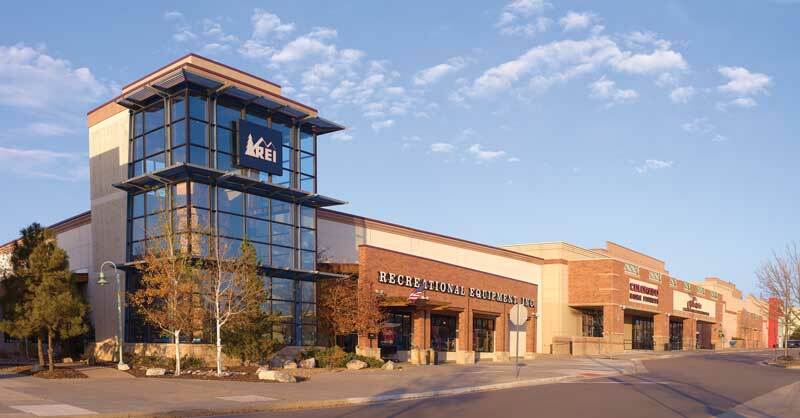 One of the area’s largest open malls, Centennial Promenade is a 560,000-square-foot retail center located directly north of Park Meadows Mall. Developed jointly with Opus Northwest LLC, it houses 52 tenants, including Rock Bottom Brewery, Michael’s and Golf Galaxy. 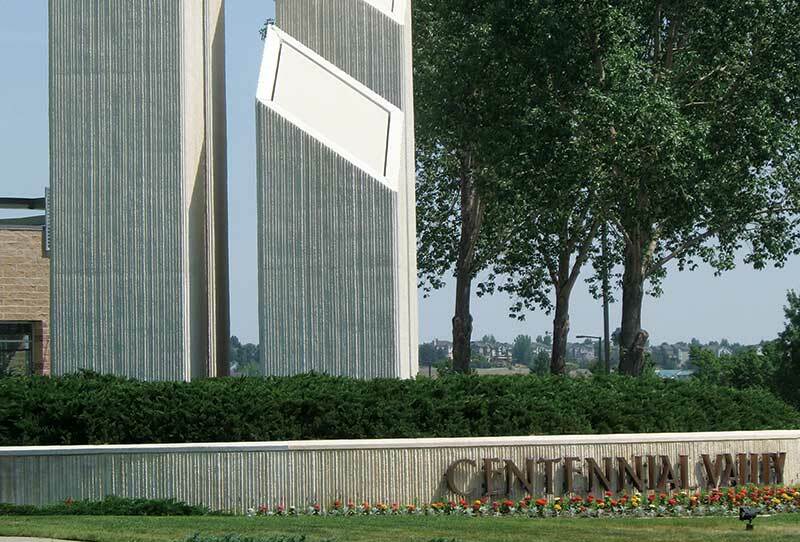 When Centennial Valley Business Park opened in the late ‘90s, the 175-acre regional commercial/retail complex included multiple Class A office and retail buildings by Koelbel, the major landowner in the venture. Koelbel also managed entitlement, design, construction and leasing for other tenants. Nearly two decades later, the company has completed a new venture in the thriving business park: a 57,700 square-foot building designed to meet the demand for creative office spaces. Koelbel also partnered with the City of Louisville on a $1.37 million project designed to reconfigure the adjacent Centennial Parkway, making it bicycle- and pedestrian friendly for tenants and nearby residents. The center today is also home to major retail brands such as Starbucks, Qdoba, KeyBank and Runner’s Roost. 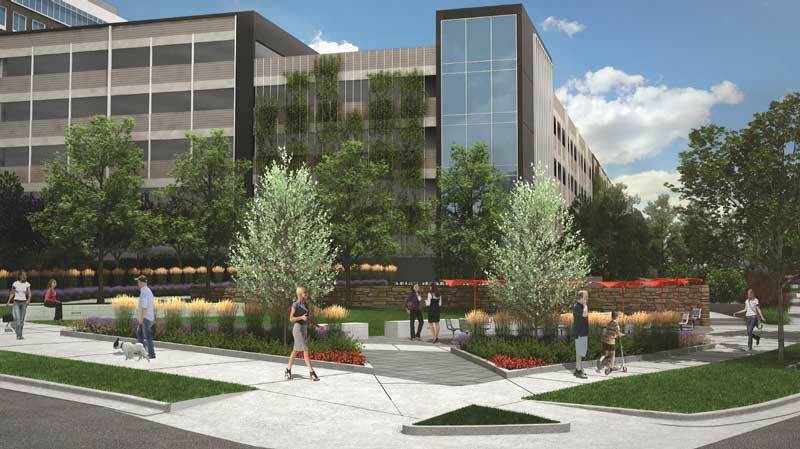 Village Center DTC, a mixed-use transit-oriented development in the heart of Greenwood Village’s planned Town Center, completes a 75-acre strategic land acquisition Koelbel made in 1976. Phase 1, a 16-acre site, is now complete with Charter Communications anchoring a 300,000 SF office complex built and owned by Granite Properties. Two sites remain for future development. Entrance to the property is marked by a full-service Independent Bank branch on Willow Drive, which anchors one of the first office properties on this site. Built in 1982, the three-story, 44,000 SF office building is still owned and managed by Koelbel.